Charles Dickens (1812-1870) was one of the greatest novelists of the Victorian era and his works remain widely read. As a writer, performer, and social critic his work was highly popular during his lifetime. 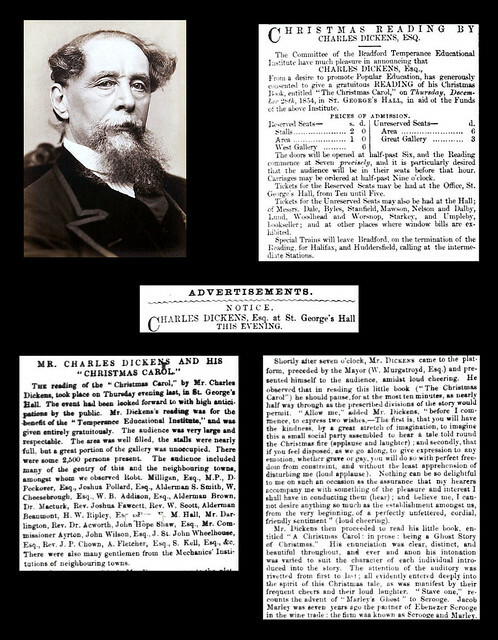 Dickens' first literary success came in 1836 with the serial publication of The Pickwick Papers; within a few years he became an international celebrity. 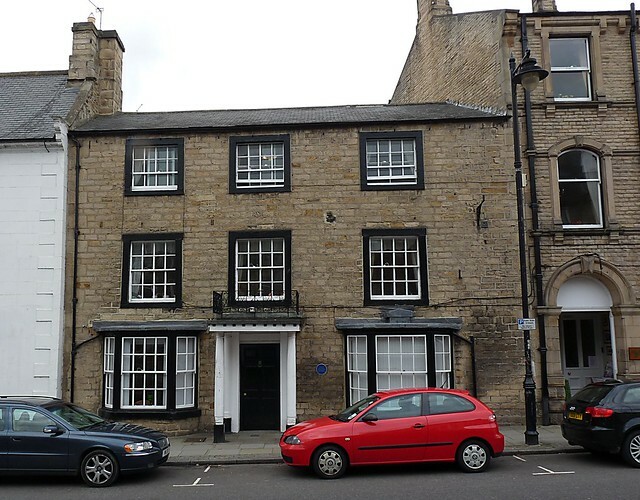 Dickens and his illustrator, Hablot Browne, came to Barnard Castle on 2nd February 1838, whilst researching his 3rd novel, Nicholas Nickleby; He stayed at the King's Head Inn (later renamed the Charles Dickens) and visited Shaw's Academy in Bowes, a very harsh boarding school academy, providing inspiration for the novel. 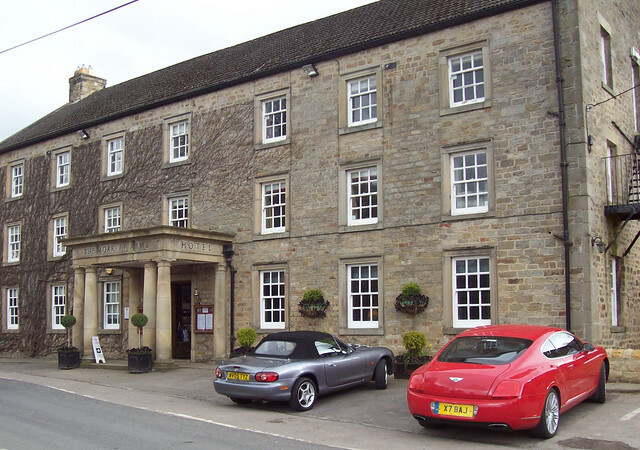 He also stayed at the Morritt Arms in Greta Bridge. In the early 1850s Dickens organised his own traveling theatre group in which he acted; undertaking extensive tours of the country over the years. 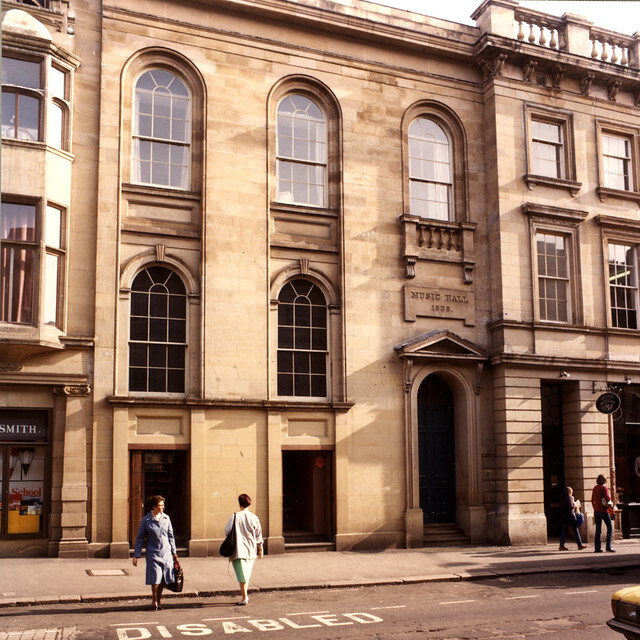 These tours included visits to County Durham and Northumberland (then including Newcastle); some of these visits included: 27th August 1852, when 'Not So Bad As We Seem' and 'Mr Nightingale’s Diary' were performed at the Assembly Rooms in Newcastle; and at the Lyceum Theatre in Sunderland the following night. 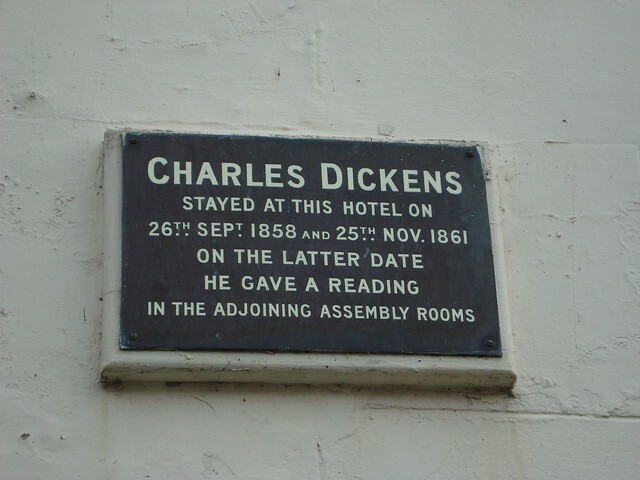 In his great national tour of 1858 Dickens gave readings, including 'A Christmas Carol' at Central Hall, Darlington on 21st September 1858, and in the New Town Hall, Durham on the following day. 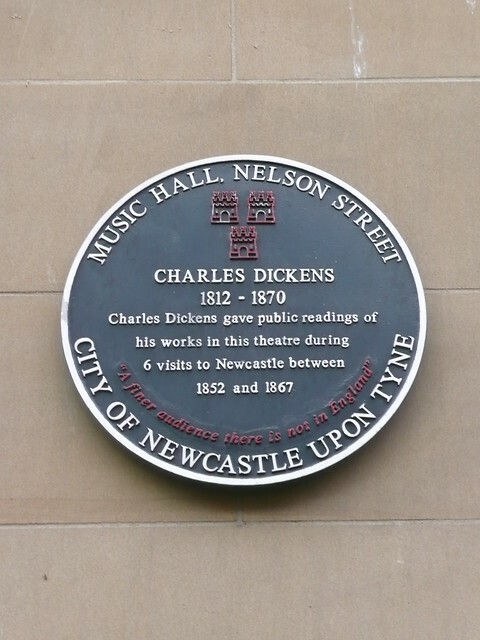 From Durham, Dickens walked 13 miles to perform at the Theatre Royal, Sunderland. 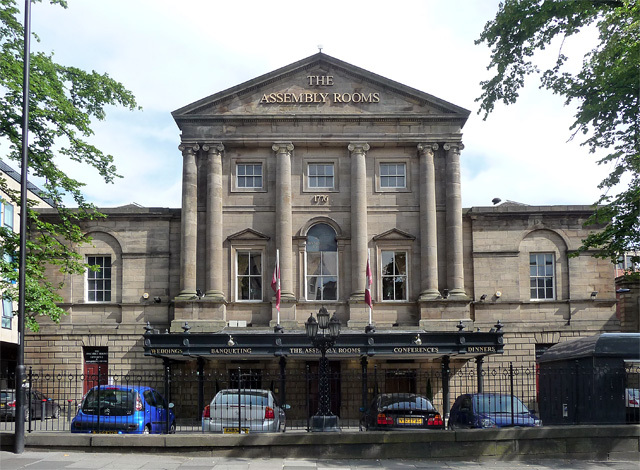 Then on to Newcastle, staying at the Station Hotel, before performing at the Town Hall in the Bigg Market. (Source: Keith Proud, Northern Echo, 2011). "We escaped to Tynemouth for a two hours’ sea walk. There was a high wind blowing and a magnificent sea running. Large vessels were being towed in and out over the stormy bar with prodigious waves breaking on it, and spanning the restless uproar of the waters was a quiet rainbow of transcendent beauty. The scene was quite wonderful. We were in the full enjoyment of it when a heavy sea caught us, knocked us over and in a moment drenched us and filled even our pockets." 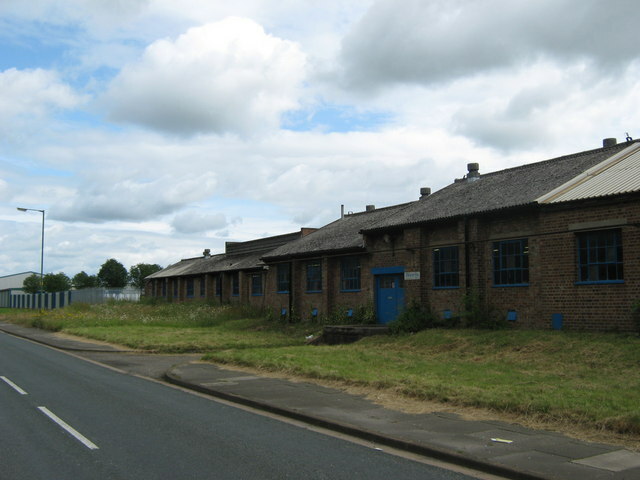 (Source: Keith Proud, Northern Echo, 2011). Charles John Huffam Dickens (; 7 February 1812 – 9 June 1870) was an English writer and social critic. He created some of the world's best-known fictional characters and is regarded by many as the greatest novelist of the Victorian era. His works enjoyed unprecedented popularity during his lifetime, and by the 20th century critics and scholars had recognised him as a literary genius. His novels and short stories enjoy lasting popularity. 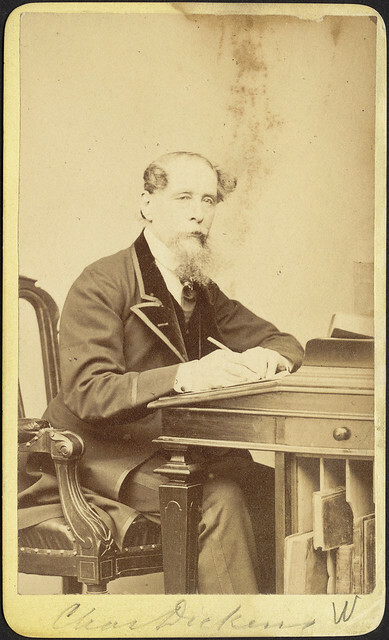 Dickens was regarded as the literary colossus of his age. His 1843 novella, A Christmas Carol, remains popular and continues to inspire adaptations in every artistic genre. Oliver Twist and Great Expectations are also frequently adapted, and, like many of his novels, evoke images of early Victorian London. His 1859 novel, A Tale of Two Cities, set in London and Paris, is his best-known work of historical fiction. Dickens has been praised by fellow writers—from Leo Tolstoy to George Orwell and G. K. Chesterton—for his realism, comedy, prose style, unique characterisations, and social criticism. On the other hand, Oscar Wilde, Henry James, and Virginia Woolf complained of a lack of psychological depth, loose writing, and a vein of saccharine sentimentalism. The term Dickensian is used to describe something that is reminiscent of Dickens and his writings, such as poor social conditions or comically repulsive characters. This period came to an end in June 1822, when John Dickens was recalled to Navy Pay Office headquarters at Somerset House, and the family (except for Charles, who stayed behind to finish his final term of work) moved to Camden Town in London. The family had left Kent amidst rapidly mounting debts, and, living beyond his means, John Dickens was forced by his creditors into the Marshalsea debtors' prison in Southwark, London in 1824. His wife and youngest children joined him there, as was the practice at the time. Charles, then 12 years old, boarded with Elizabeth Roylance, a family friend, at 112 College Place, Camden Town. Roylance was "a reduced [impoverished] old lady, long known to our family", whom Dickens later immortalised, "with a few alterations and embellishments", as "Mrs. Pipchin" in Dombey and Son. Later, he lived in a back-attic in the house of an agent for the Insolvent Court, Archibald Russell, "a fat, good-natured, kind old gentleman... with a quiet old wife" and lame son, in Lant Street in Southwark. 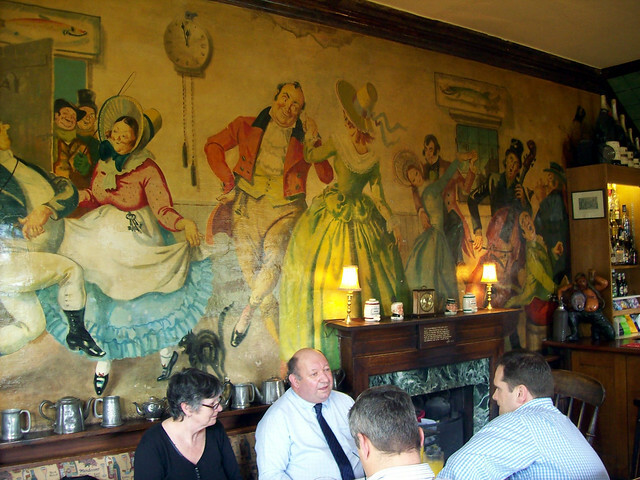 They provided the inspiration for the Garlands in The Old Curiosity Shop. A few months after his imprisonment, John Dickens's paternal grandmother, Elizabeth Dickens, died and bequeathed him £450. On the expectation of this legacy, Dickens was released from prison. Under the Insolvent Debtors Act, Dickens arranged for payment of his creditors, and he and his family left Marshalsea, for the home of Mrs Roylance. Dickens was eventually sent to the Wellington House Academy in Camden Town, where he remained until March 1827, having spent about two years there. 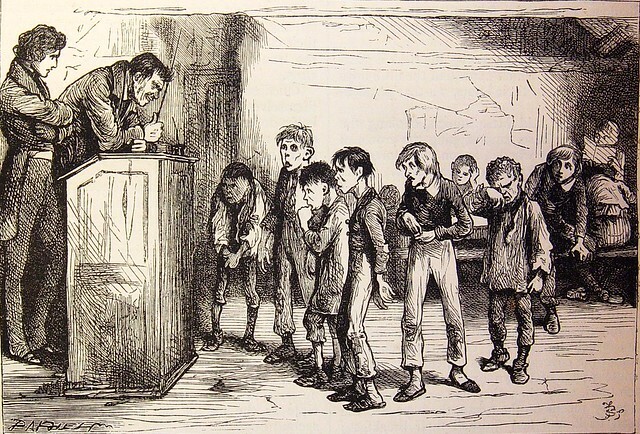 He did not consider it to be a good school: "Much of the haphazard, desultory teaching, poor discipline punctuated by the headmaster's sadistic brutality, the seedy ushers and general run-down atmosphere, are embodied in Mr. Creakle's Establishment in David Copperfield." In 1832, at age 20, Dickens was energetic and increasingly self-confident. He enjoyed mimicry and popular entertainment, lacked a clear, specific sense of what he wanted to become, and yet knew he wanted fame. Drawn to the theatre—he became an early member of the Garrick—he landed an acting audition at Covent Garden, where the manager George Bartley and the actor Charles Kemble were to see him. Dickens prepared meticulously and decided to imitate the comedian Charles Mathews, but ultimately he missed the audition because of a cold. Before another opportunity arose, he had set out on his career as a writer. In 1833 he submitted his first story, "A Dinner at Poplar Walk", to the London periodical Monthly Magazine. William Barrow, a brother of his mother, offered him a job on The Mirror of Parliament and he worked in the House of Commons for the first time early in 1832. He rented rooms at Furnival's Inn and worked as a political journalist, reporting on Parliamentary debates, and he travelled across Britain to cover election campaigns for the Morning Chronicle. His journalism, in the form of sketches in periodicals, formed his first collection of pieces, published in 1836: Sketches by Boz—Boz being a family nickname he employed as a pseudonym for some years. Dickens apparently adopted it from the nickname "Moses", which he had given to his youngest brother Augustus Dickens, after a character in Oliver Goldsmith's The Vicar of Wakefield. When pronounced by anyone with a head cold, "Moses" became "Boses"—later shortened to Boz. Dickens's own name was considered "queer" by a contemporary critic, who wrote in 1849: "Mr Dickens, as if in revenge for his own queer name, does bestow still queerer ones upon his fictitious creations." He contributed to and edited journals throughout his literary career. In January 1835 the Morning Chronicle launched an evening edition, under the editorship of the Chronicles music critic, George Hogarth. Hogarth invited Dickens to contribute Street Sketches and Dickens became a regular visitor to his Fulham house, excited by Hogarth's friendship with a hero of his, Walter Scott, and enjoying the company of Hogarth's three daughters—Georgina, Mary, and nineteen-year-old Catherine. In November 1836 Dickens accepted the position of editor of Bentley's Miscellany, a position he held for three years, until he fell out with the owner. In 1836 as he finished the last instalments of The Pickwick Papers, he began writing the beginning instalments of Oliver Twist—writing as many as 90 pages a month—while continuing work on Bentley's and also writing four plays, the production of which he oversaw. Oliver Twist, published in 1838, became one of Dickens's better known stories, and was the first Victorian novel with a child protagonist. On 2 April 1836, after a one-year engagement, and between episodes two and three of The Pickwick Papers, Dickens married Catherine Thomson Hogarth (1816–1879), the daughter of George Hogarth, editor of the Evening Chronicle. They were married in St. Luke's Church, Chelsea, London. 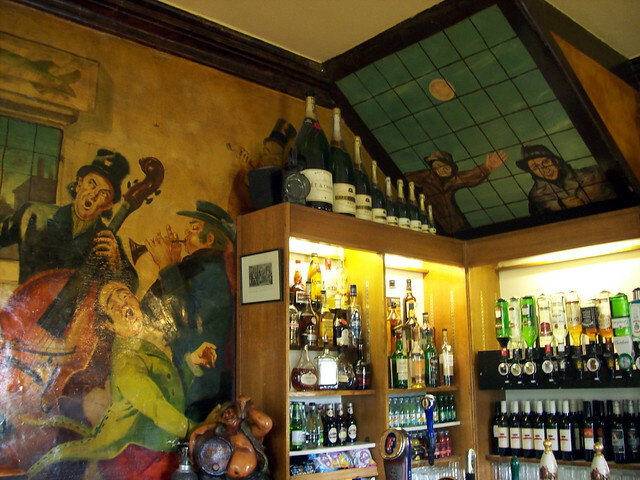 After a brief honeymoon in Chalk in Kent the couple returned to lodgings at Furnival's Inn. The first of their ten children, Charley, was born in January 1837, and a few months later the family set up home in Bloomsbury at 48 Doughty Street, London, (on which Charles had a three-year lease at £80 a year) from 25 March 1837 until December 1839. Dickens's younger brother Frederick and Catherine's 17-year-old sister Mary, moved in with them. 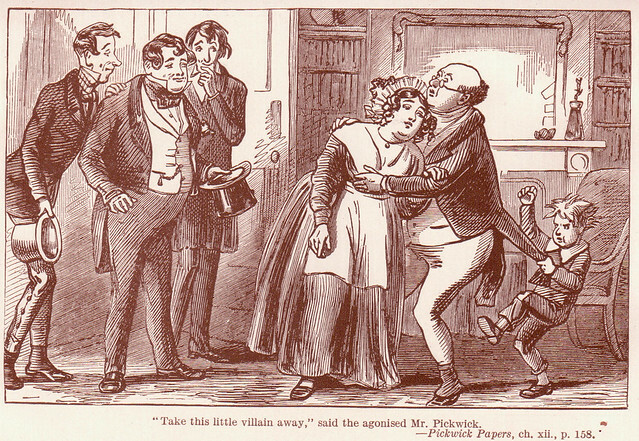 Dickens became very attached to Mary, and she died in his arms after a brief illness in 1837. Unusually for Dickens, as a consequence of his shock, he stopped working, and he and Kate stayed at a little farm on Hampstead Heath for a fortnight. Dickens idealised Mary- the character he fashioned after her, Rose Maylie, he found he could not now kill, as he had planned, in his fiction and according to Ackroyd he drew on memories of her for his later descriptions of Little Nell and Florence Dombey. 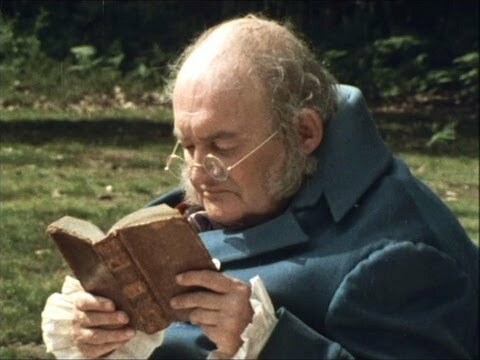 His grief was so great that he was unable to meet the deadline for the June instalment of Pickwick Papers and had to cancel the Oliver Twist instalment that month as well. The time in Hampstead was the occasion for a growing bond between Dickens and John Forster to develop and Forster soon became his unofficial business manager, and the first to read his work. 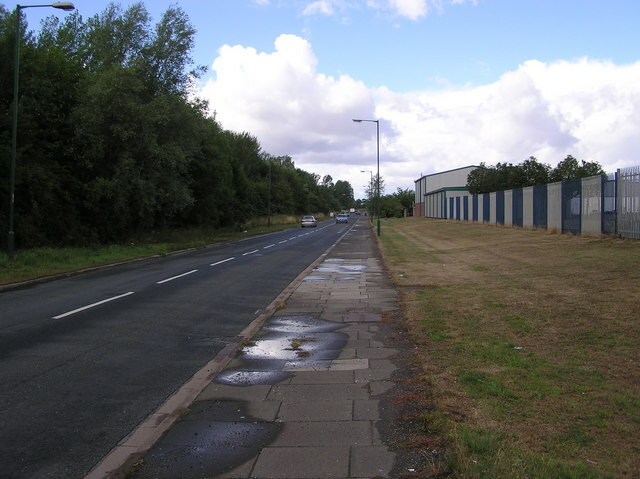 His success as a novelist continued. The young Queen Victoria read both Oliver Twist and Pickwick, staying up until midnight to discuss them. 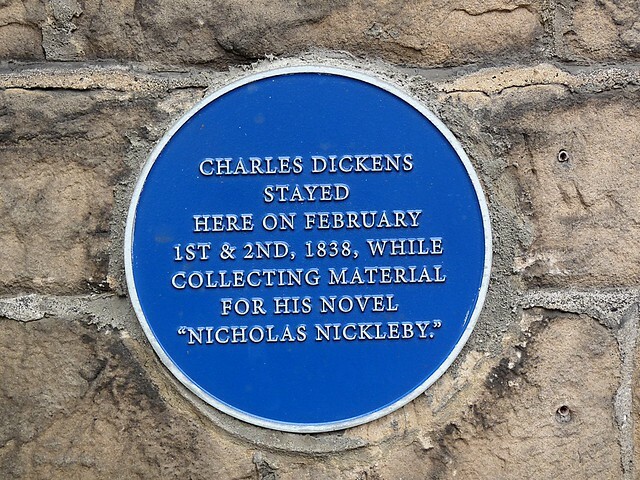 Nicholas Nickleby (1838–39), The Old Curiosity Shop (184041) and, finally, his first historical novel, Barnaby Rudge: A Tale of the Riots of 'Eighty, as part of the Master Humphrey's Clock series (1840–41), were all published in monthly instalments before being made into books. 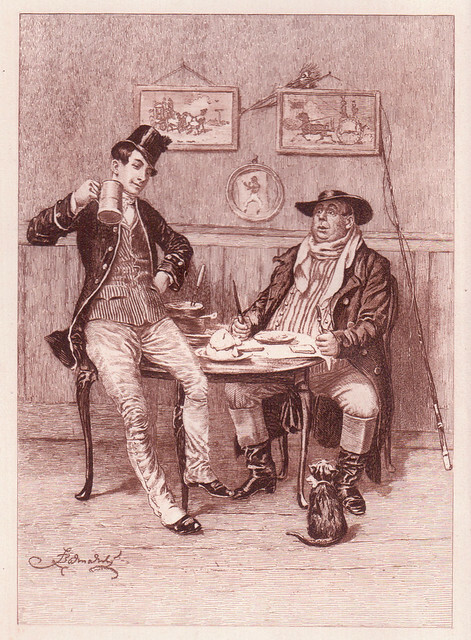 In the midst of all his activity during this period there was discontent with his publishers and John Macrone was bought off, while Richard Bentley signed over all his rights in Oliver Twist. Other signs of a certain restlessness and discontent emerge—in Broadstairs he flirted with Eleanor Picken, the young fiancée of his solicitor's best friend, and one night grabbed her and ran with her down to the sea. He declared they were both to drown there in the "sad sea waves". She finally got free but afterwards kept her distance. 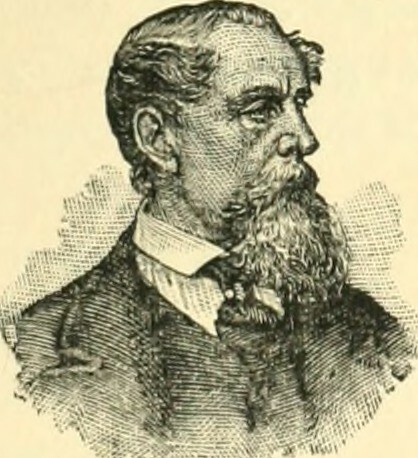 In June 1841 he precipitately set out on a two-month tour of Scotland and then, in September 1841, telegraphed Forster that he had decided to go to America. Master Humphrey's Clock was shut down, though Dickens was still keen on the idea of the weekly magazine, a form he liked, a liking that had begun with his childhood reading of the eighteenth-century magazines Tatler and The Spectator. In 1842, Dickens and his wife made their first trip to the United States and Canada. At this time Georgina Hogarth, another sister of Catherine, joined the Dickens household, now living at Devonshire Terrace, Marylebone, to care for the young family they had left behind. She remained with them as housekeeper, organiser, adviser, and friend until Dickens's death in 1870. 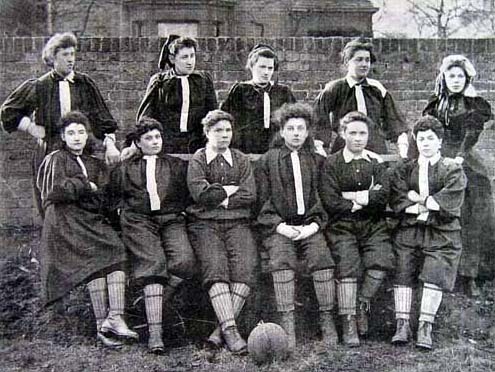 Dickens modeled the character of Agnes Wickfield after Georgina and Mary. As a young man Dickens expressed a distaste for certain aspects of organized religion. In 1836, in a pamphlet titled Sunday Under Three Heads, he defended the people's right to pleasure, opposing a plan to prohibit games on Sundays. "Look into your churches- diminished congregations and scanty attendance. People have grown sullen and obstinate, and are becoming disgusted with the faith which condemns them to such a day as this, once in every seven. They display their feeling by staying away church. Turn into the streets a Sunday and mark the rigid gloom that reigns over everything around"
Dickens honoured the figure of though some claim he may have denied his divinity. Notwithstanding, Dickens has been characterized as a professing Christian. His son, Henry Fielding Dickens, described Dickens as someone who "possessed deep religious convictions". In the early 1840s Dickens had shown an interest in Unitarian Christianity, and Robert Browning remarked that “Mr. Dickens is an enlightened Unitarian.” Writer Gary Colledge, however, asserted that he "never strayed from his attachment to popular lay Anglicanism". He also wrote a religious work called The Life of Our Lord (1849), which was a short book about the life of Jesus Christ, written with the purpose of inculcating his faith to his children and family. Dickens disapproved of Roman Catholicism and 19th-century evangelicalism, and was critical of what he saw as the hypocrisy of religious institutions and philosophies like spiritualism, all of which he considered deviations from the true spirit of Christianity. 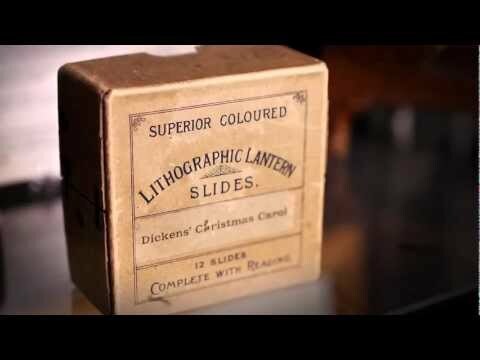 Leo Tolstoy and Fyodor Dostoyevsky referred to Dickens as "that great Christian writer". The Francophile Dickens often vacationed in France, and in a speech delivered in Paris in 1846 in French called the French "the first people in the universe". During his visit to Paris, Dickens met the French literati Alexandre Dumas, Victor Hugo, Eugène Scribe, Théophile Gautier, François-René de Chateaubriand and Eugène Sue. Dickens started to write David Copperfield in 1848. It was published between 1849 and 1850. Scholars consider it as Dickens's veiled autobiography with the title character modeled after the author himself. It was Dickens's personal favourite among his own novels. During his travels, he saw a change in the people and the circumstances of America. His final appearance was at a banquet the American Press held in his honour at Delmonico's on 18 April, when he promised never to denounce America again. By the end of the tour Dickens could hardly manage solid food, subsisting on champagne and eggs beaten in sherry. On 23 April he boarded the Cunard liner to return to Britain, barely escaping a Federal Tax Lien against the proceeds of his lecture tour. His last words were: "On the ground", in response to his sister-in-law Georgina's request that he lie down. On Sunday, 19 June 1870, five days after Dickens was buried in the Abbey, Dean Arthur Penrhyn Stanley delivered a memorial elegy, lauding "the genial and loving humorist whom we now mourn", for showing by his own example "that even in dealing with the darkest scenes and the most degraded characters, genius could still be clean, and mirth could be innocent". Pointing to the fresh flowers that adorned the novelist's grave, Stanley assured those present that "the spot would thenceforth be a sacred one with both the New World and the Old, as that of the representative of literature, not of this island only, but of all who speak our English tongue." His writing style is marked by a profuse linguistic creativity. Satire, flourishing in his gift for caricature, is his forte. An early reviewer compared him to Hogarth for his keen practical sense of the ludicrous side of life, though his acclaimed mastery of varieties of class idiom may in fact mirror the conventions of contemporary popular theatre. Dickens worked intensively on developing arresting names for his characters that would reverberate with associations for his readers, and assist the development of motifs in the storyline, giving what one critic calls an "allegorical impetus" to the novels' meanings. 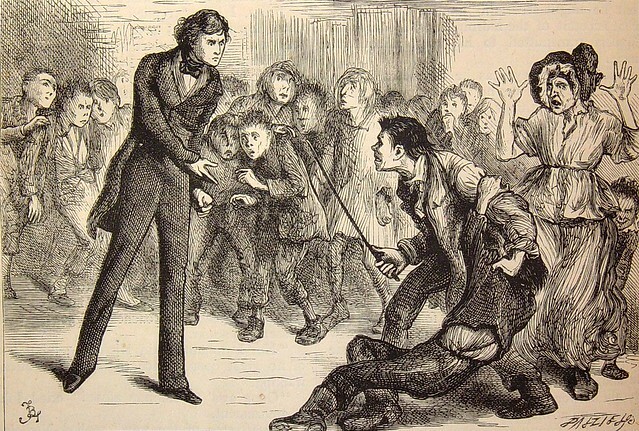 To cite one of numerous examples, the name Mr. Murdstone in David Copperfield conjures up twin allusions to "murder" and stony coldness. His literary style is also a mixture of fantasy and realism. His satires of British aristocratic snobbery—he calls one character the "Noble Refrigerator"—are often popular. Comparing orphans to stocks and shares, people to tug boats, or dinner-party guests to furniture are just some of Dickens's acclaimed flights of fancy. Dickens's biographer Claire Tomalin regards him as the greatest creator of character in English fiction after Shakespeare. Dickensian characters are amongst the most memorable in English literature, especially so because of their typically whimsical names. The likes of Ebenezer Scrooge, Tiny Tim, Jacob Marley, Bob Cratchit, Oliver Twist, The Artful Dodger, Fagin, Bill Sikes, Pip, Miss Havisham, Sydney Carton, Charles Darnay, David Copperfield, Mr. Micawber, Abel Magwitch, Daniel Quilp, Samuel Pickwick, Wackford Squeers, and Uriah Heep are so well known as to be part and parcel of British culture, and in some cases have passed into ordinary language: a scrooge, for example, is a miser - or someone who dislikes Christmas festivity. Virginia Woolf maintained that "we remodel our psychological geography when we read Dickens" as he produces "characters who exist not in detail, not accurately or exactly, but abundantly in a cluster of wild yet extraordinarily revealing remarks". One "character" vividly drawn throughout his novels is London itself. From the coaching inns on the outskirts of the city to the lower reaches of the Thames, all aspects of the capital are described over the course of his body of work. Authors frequently draw their portraits of characters from people they have known in real life. David Copperfield is regarded by many as a veiled autobiography of Dickens. The scenes of interminable court cases and legal arguments in Bleak House reflect Dickens's experiences as a law clerk and court reporter, and in particular his direct experience of the law's procedural delay during 1844 when he sued publishers in Chancery for breach of copyright. 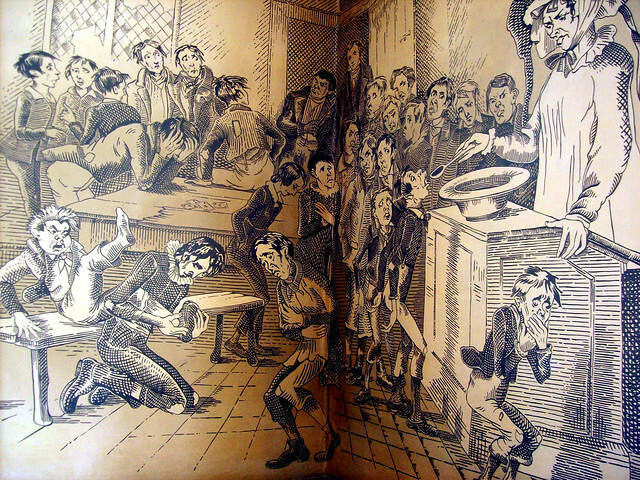 Dickens's father was sent to prison for debt, and this became a common theme in many of his books, with the detailed depiction of life in the Marshalsea prison in Little Dorrit resulting from Dickens's own experiences of the institution. Lucy Stroughill, a childhood sweetheart, may have affected several of Dickens's portraits of girls such as Little Em'ly in David Copperfield and Lucie Manette in A Tale of Two Cities. Dickens may have drawn on his childhood experiences, but he was also ashamed of them and would not reveal that this was where he gathered his realistic accounts of squalor. Very few knew the details of his early life until six years after his death, when John Forster published a biography on which Dickens had collaborated. 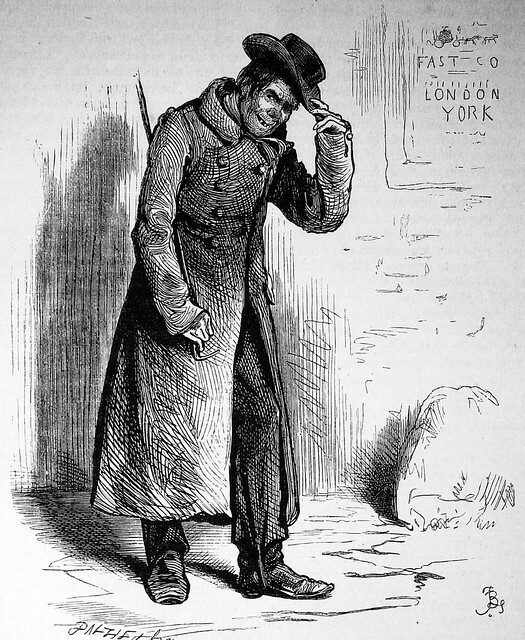 Though Skimpole brutally sends up Leigh Hunt, some critics have detected in his portrait features of Dickens's own character, which he sought to exorcise by self-parody. Most of Dickens's major novels were first written in monthly or weekly instalments in journals such as Master Humphrey's Clock and Household Words, later reprinted in book form. These instalments made the stories affordable and accessible, and the series of regular cliff-hangers made each new episode widely anticipated. 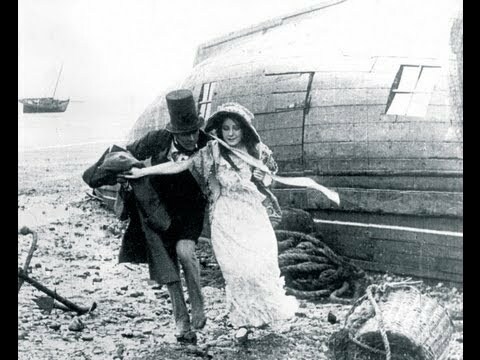 When The Old Curiosity Shop was being serialised, American fans waited at the docks in New York harbor, shouting out to the crew of an incoming British ship, "Is little Nell dead?" Dickens's talent was to incorporate this episodic writing style but still end up with a coherent novel at the end. Dickens's serialisation of his novels was not uncriticised by other authors. In Robert Louis Stevenson's novel The Wrecker, there is a comment by Captain Nares, investigating an abandoned ship: "See! They were writing up the log," said Nares, pointing to the ink-bottle. "Caught napping, as usual. I wonder if there ever was a captain yet that lost a ship with his log-book up to date? He generally has about a month to fill up on a clean break, like Charles Dickens and his serial novels." Dickens is often described as using idealised characters and highly sentimental scenes to contrast with his caricatures and the ugly social truths he reveals. The story of Nell Trent in The Old Curiosity Shop (1841) was received as extraordinarily moving by contemporary readers but viewed as ludicrously sentimental by Oscar Wilde. "You would need to have a heart of stone", he declared in one of his famous witticisms, "not to laugh at the death of little Nell." G. K. Chesterton, stated: "It is not the death of little Nell, but the life of little Nell, that I object to", arguing that the maudlin effect of his description of her life owed much to the gregarious nature of Dickens's grief, his "despotic" use of people's feelings to move them to tears in works like this. The question as to whether Dickens belongs to the tradition of the sentimental novel is debatable. Valerie Purton, in her recent Dickens and the Sentimental Tradition, sees him continuing aspects of this tradition, and argues that his "sentimental scenes and characters [are] as crucial to the overall power of the novels as his darker or comic figures and scenes", and that "Dombey and Son is ... Dickens's greatest triumph in the sentimentalist tradition". The Encyclopædia Britannica online comments that, despite "patches of emotional excess", such as the reported death of Tiny Tim in A Christmas Carol (1843), "Dickens cannot really be termed a sentimental novelist". Text from Wikipedia, available under the Creative Commons Attribution-ShareAlike License (accessed: 10/05/2018). Visit the page: Charles Dickens for references and further details. You can contribute to this article on Wikipedia. ... around Berwick on Tweed ... visitor, Charles Dickens. "The first class in english spelling and philosophy." ""Very glad to make your acquaintance, miss," said squeers, raising his hat an inch or two." ""Wretch," rejoined Nicholas fiercely, ..."